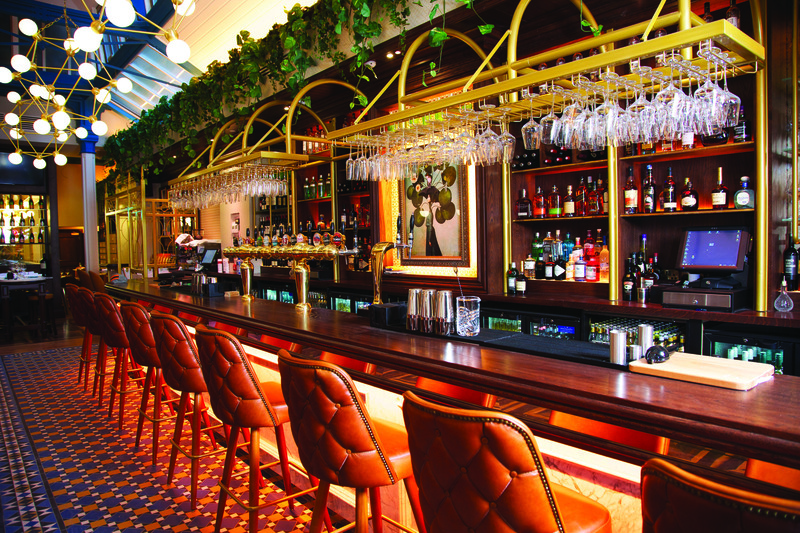 The newly reimagined Café en Seine is one of Dublin’s most iconic and stunning venues. Nestled in the heart of Dublin’s city centre on Dawson Street, Café en Seine was established in 1993 and quickly became a go-to destination for locals and visitors to the city. Today, its legacy continues with a beautifully designed space which features several dining experiences along with a host of unique bars and an indoor Parisian street garden. Renowned for its five-star service, Café en Seine offers an extensive food menu that caters for a range of tastes and occasions. Bringing a new shared dining experience to Dublin, head chef Stephen Gibson and his team created a menu that reflects the ever-changing tastes of modern Irish palates. The extensive cocktail menu — available in all five of the venue’s bars — has been specially curated by Peter O’Connor and the team behind Crucible London. It was created to enhance specific moments and experiences within the venue, from the physical surroundings to the music and the service, making each drink memorable. One lucky entrant has the chance to enjoy this iconic Dublin venue over dinner for two, plus desserts and cocktails.